Joe Root's first summer as England cricket captain appears to be going better than many would have hoped prior to his appointment. As is the case with any change of personnel at the top of a team, a period of uncertainty, indecision and apprehension can often dog performances till familiarity is secured. Fortunately, Root has taken to the role like a stump to a wicket and looks to be making all the right moves against the West Indies. With England hammering the Caribbean side in the recent day-night Test at Edgbaston, many were predicting a similar drubbing in the second Test at Headingly. The combination of an on-form England side, a woefully poor West Indies and history (the Windies haven't beaten England at home since 1988), meant the visitors were up against it. However, if there was a chink in the England team's armour, it was exposed during the second Test! Clearly out to prove they weren't as bad as the first outing suggested, the West Indies put on a gritty performance and duly took the second Test. England's bowling looked to be, in parts, just short of what's required. Ideal conditions meant it was a bowlers' day, but the Windies' Shai Hope had other ideas. He put in a rare batting performance that saw him knock 147 in his first innings, but lead his side to 317 on the fifth and final day to run down England's total in dramatic fashion. However, as impressive as the West Indies batting was and as patchy as England's bowling looked, the third Test was all England. With Hope dispatched for 62 and the visitors all out for 177, England cruised to victory at Lord's to take the Test series 2-1 and set up a Twenty20 at the Emirates Riverside, Durham, on Saturday, September 16. Looking at lines currently on offer at Paddy Power, England will start the one-day showdown as the 4/6 favourites, while the Windies will blow in at 6/5. 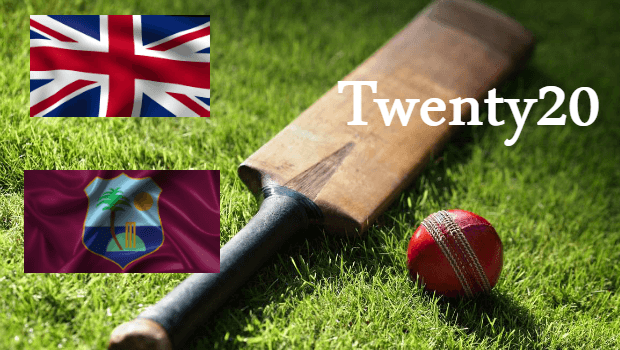 With Twenty20 (T20) cricket requiring a subtle change of skills and tactics, the England side is set to look slightly different when it trots out to play at Durham. Root will be in the mix, as will Jonny Bairstow, but it's worth keeping an eye on the likes of Alex Hales and Adil Rashid in terms of player performance markets. The former has shown his class in fast-format cricket and will be keen to capitalise on a Windies side under the cosh. A quick look at 888Sport's top batter market has Hales as the favourite at 11/4 with Root just behind at 13/4. In this instance, the safe bet would be Hales, but with Root riding the crest of a wave after two Test wins against the visitors, he could be the value bet of the tie. As for Rashid, his deliveries have looked superb in previous T20 matches, which means he's rightly out as the bowling favourite at 3/1. If there's one player who could stir up the match and the latest cricket betting markets, it's Ashley Nurse. The offspinner hasn't performed well for the West Indies, but he certainly has the potential to give England some problems. Despite going wicketless in recent games, Nurse is the leading wicket-taker in Barbados's List A domestic matches. While his counterparts Sunil Narine (3/1) and Ronsford Beaton (7/2) have shown a greater consistency at international T20 level, Nurse could be a dark horse at 4/1. Even though England look likely to take the match in a fairly comfortable fashion, Nurse could provide a glimmer of hope similar to the one Hope himself gave in his impressive betting session during the second Test. If you're someone who’s happy to sit on the fence and not get too bogged down in the nuances of who’s better than who, both 888Sport and Paddy Power have coin toss markets. Unsurprisingly, it's an even split at both sites with the former offering 10/11 on either side and Paddy Power opting to set a line of 9/10. Overall, whichever way you slice it on September 16, England will start as the favourites. Although the home side probably won't dominate the match, it should be a fairly comfortable victory. On paper, Root's men have the edge and home advantage will certainly count for a lot. After losing the Test series 2-1, the visitors could simply be looking to wrap up a disappointing trip and head home without much of a fight. Alternatively, we may see an inspired West Indies performance like we did in the second Test. However, with Hope missing from the squad, form suggests it's England's match to lose. Whichever way you decide the game, you’ll find all the odds at 888sport!